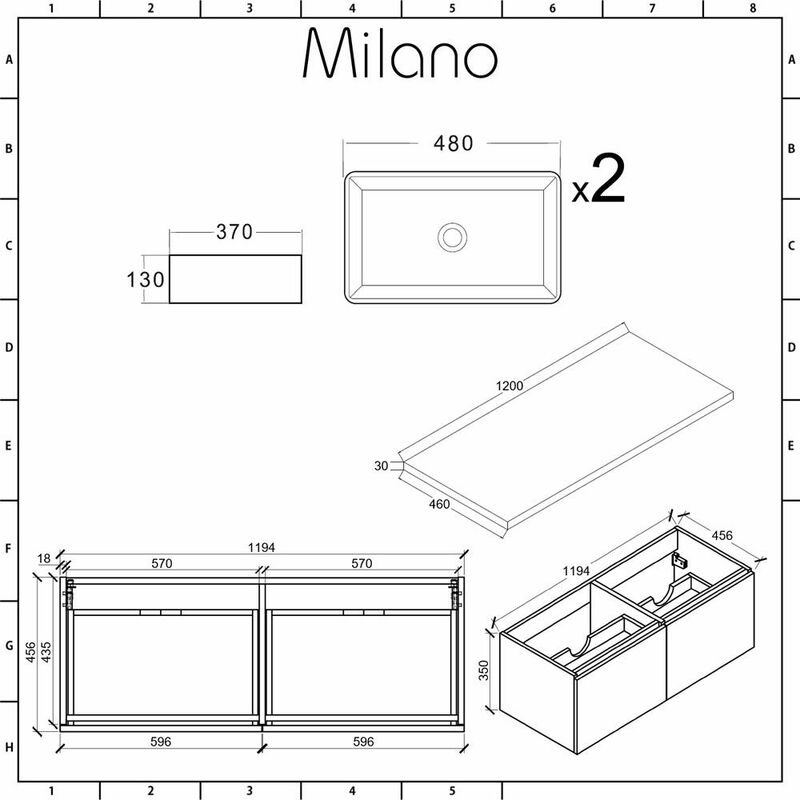 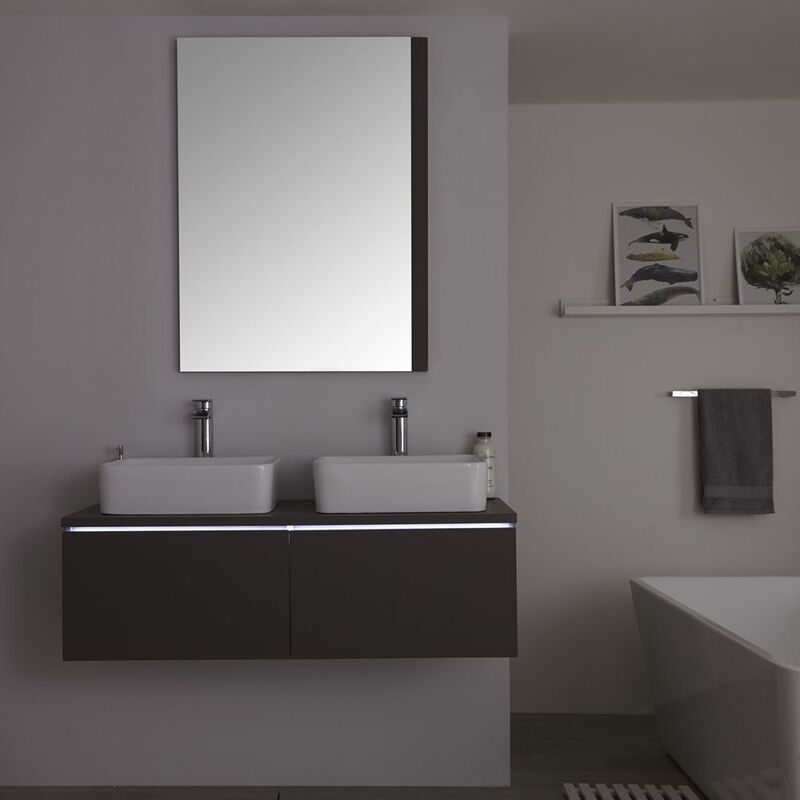 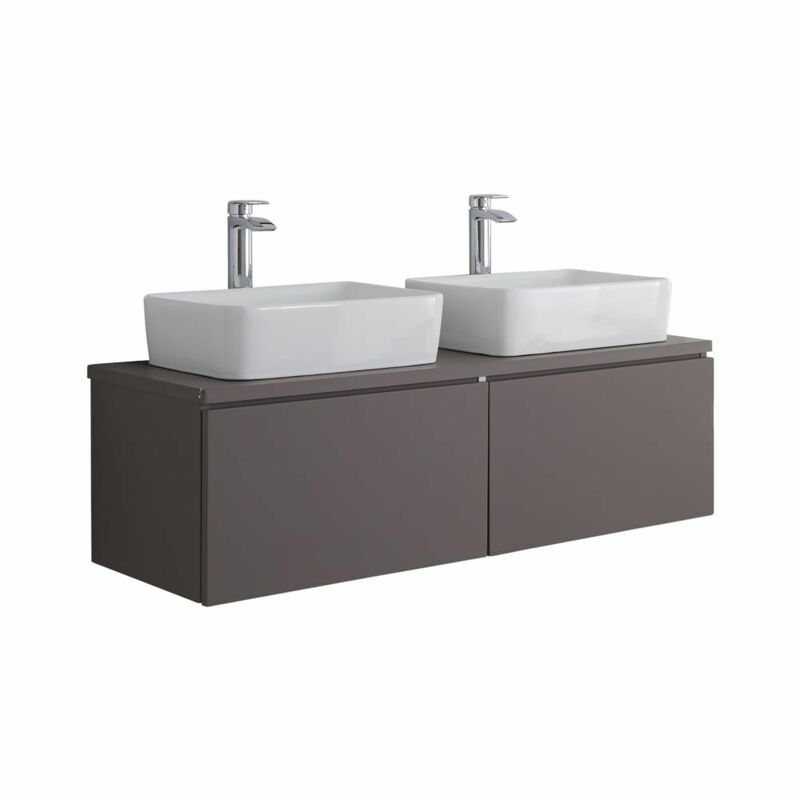 Upgrade your bathroom and add a modern and stylish twist with the wall-mounted Milano Oxley 1200mm vanity unit with matching basins. 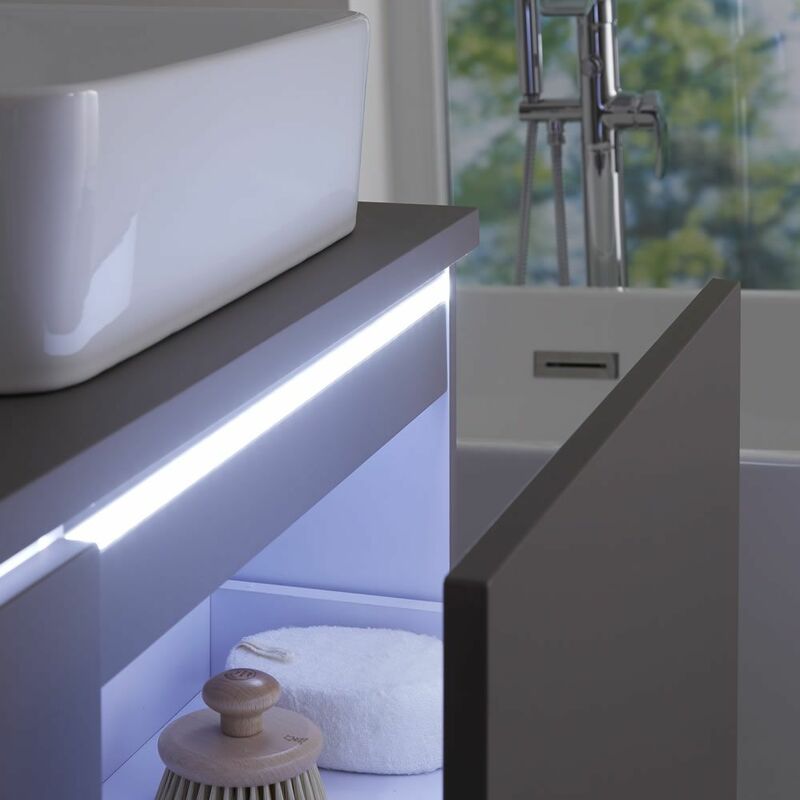 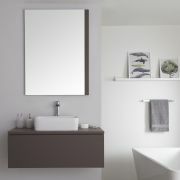 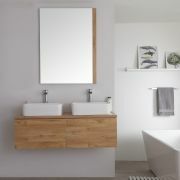 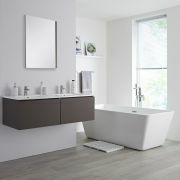 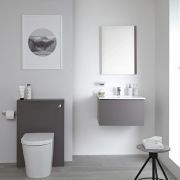 Offering a contemporary storage solution, the Oxley vanity unit features two generous push to open soft close drawers to allow storage of your toiletries and beauty products and retain the minimalist look in your bathroom. 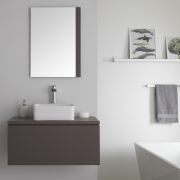 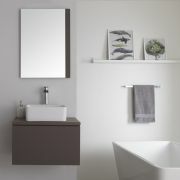 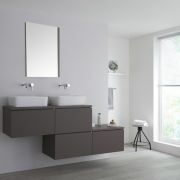 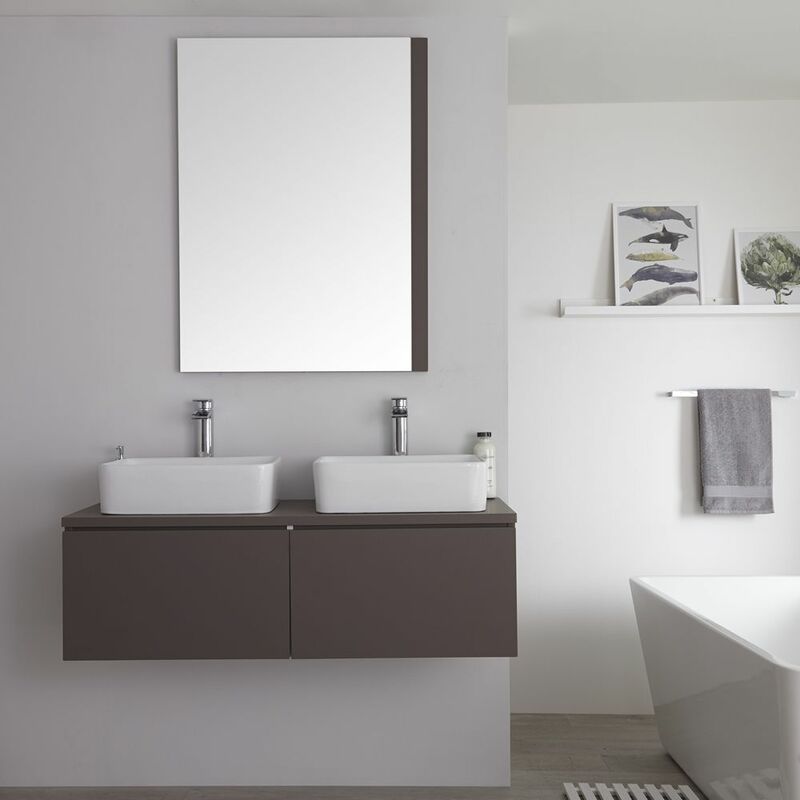 Made from moisture resistant engineered wood for strength and long-lasting durability, the vanity unit is finished in an eye-catching matt grey. 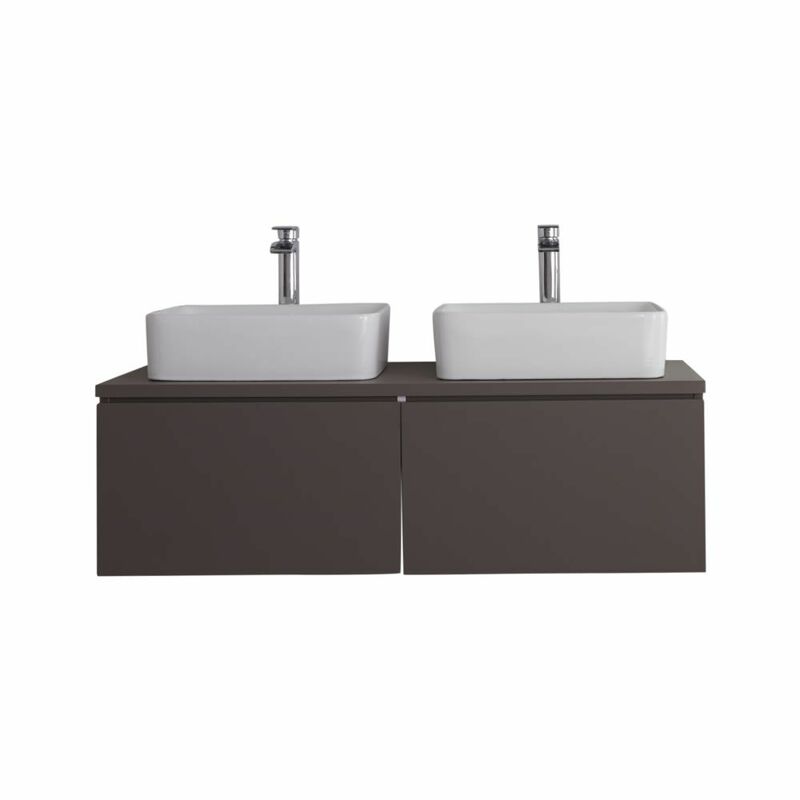 The matching rectangular countertop basins, ideal for giving the ‘his-and-hers’ look, are constructed using high quality ceramic and finished with an easy to clean white glaze. 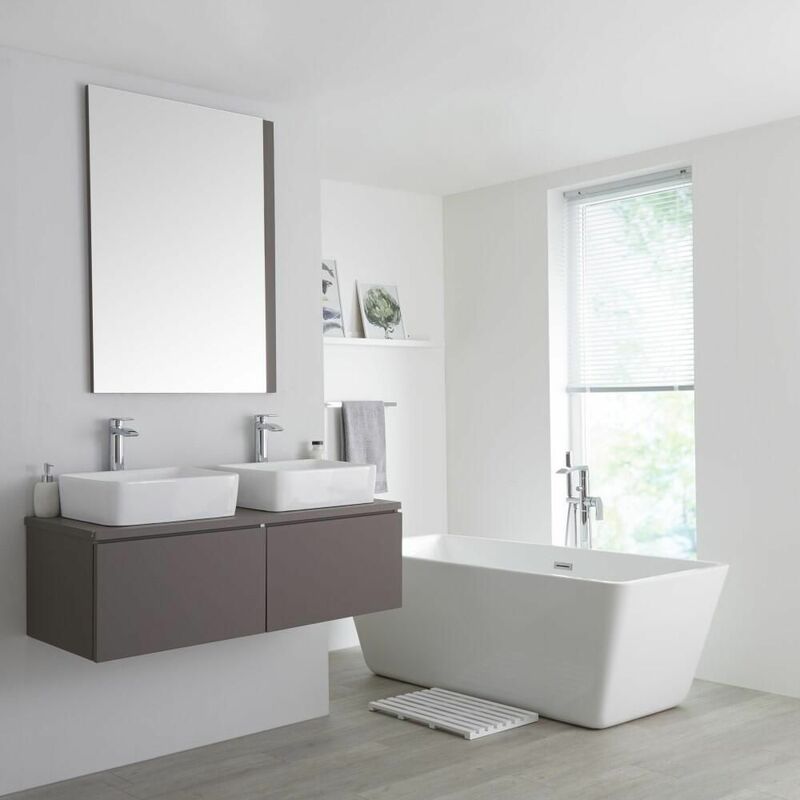 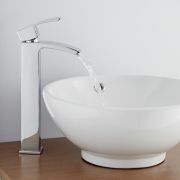 Neither basin is fitted with a tap-hole so can be used with any of our wall-mounted or high-rise taps to create the look you want.